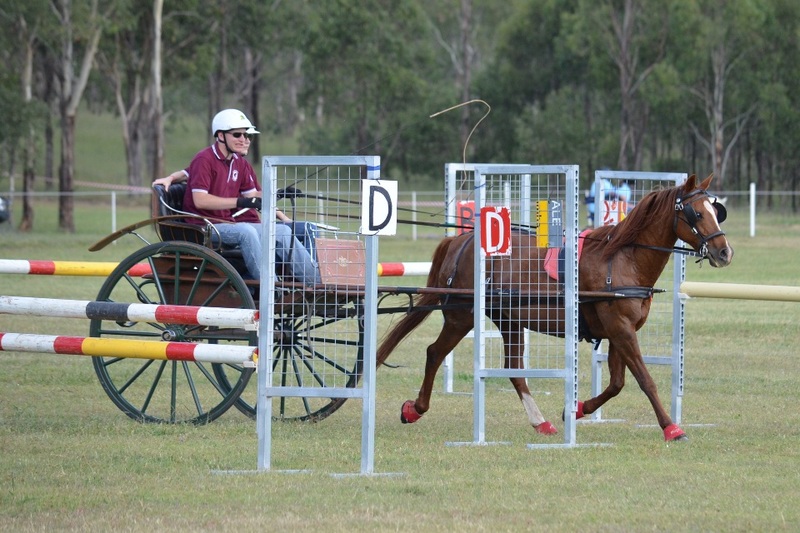 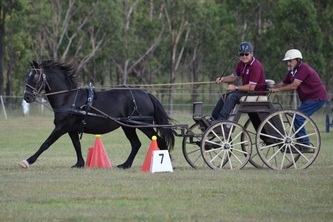 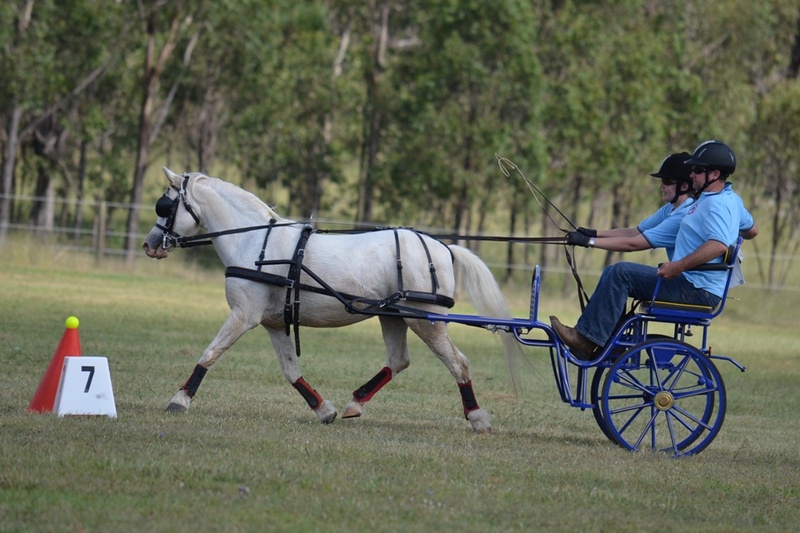 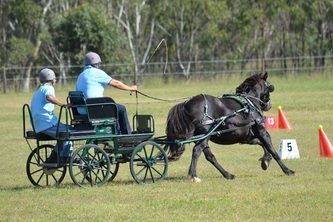 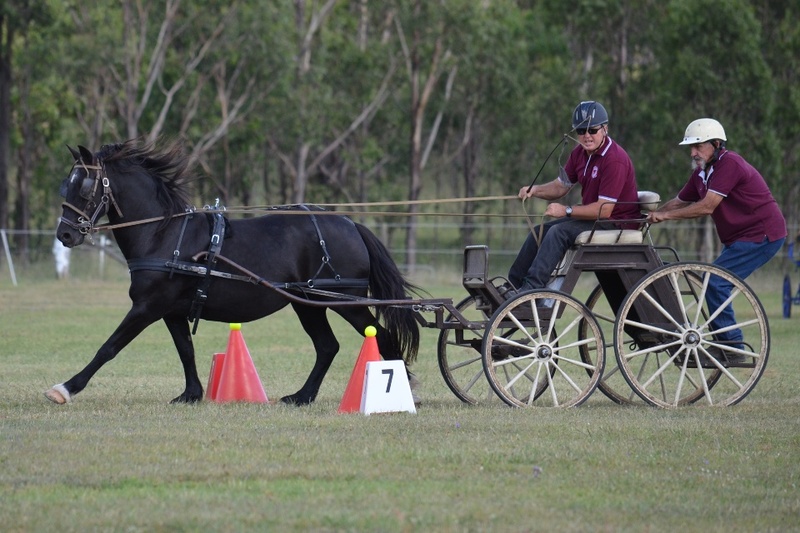 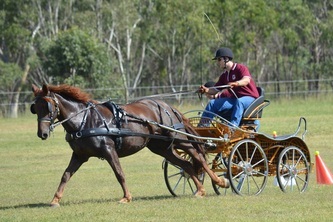 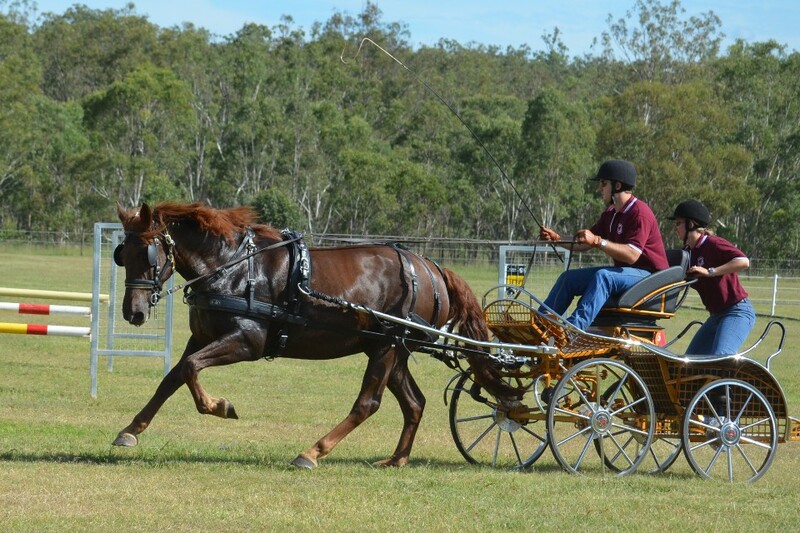 Dr Cameron Osborne, Event Director for the FEI Queensland International 3 Day Event (QI3DE), approached Warwick & District Carriage Driving Club late last year inviting club members to take part in a carriage driving display to showcase the sport of combined driving at the Davcar Horse Floats Qld International 3 Day Event State of Origin Challenge to be fought out at Morgan Park, Warwick 21 – 24 March 2013. This significant FEI event was partnered by the Australian Sports Commission, Equestrian Queensland and Equestrian Australia. 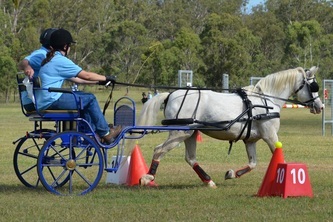 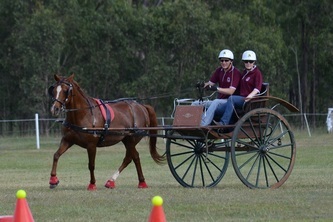 Cameron was the driving force behind the inclusion of this display to promote the sport of Combined Driving - the driving equivalent of 3 Day Eventing. 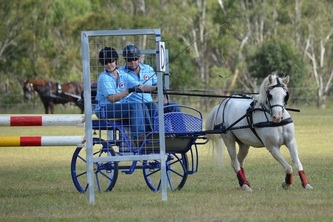 Many months of planning and emails transpired between the club and Cameron to ensure the driving display was ‘top notch’. 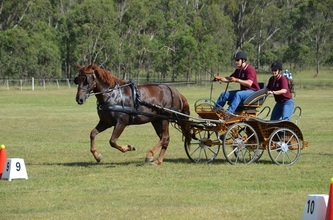 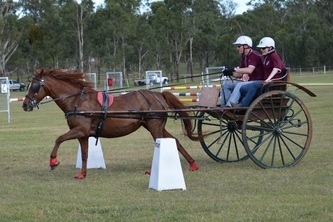 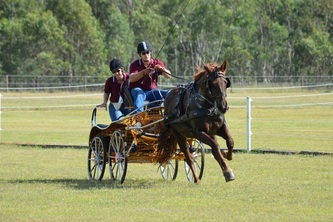 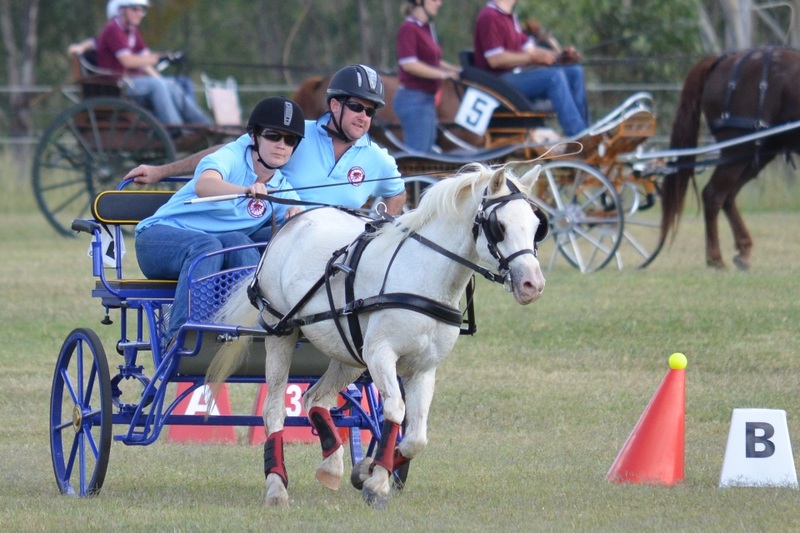 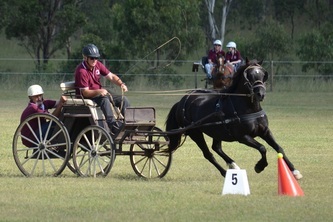 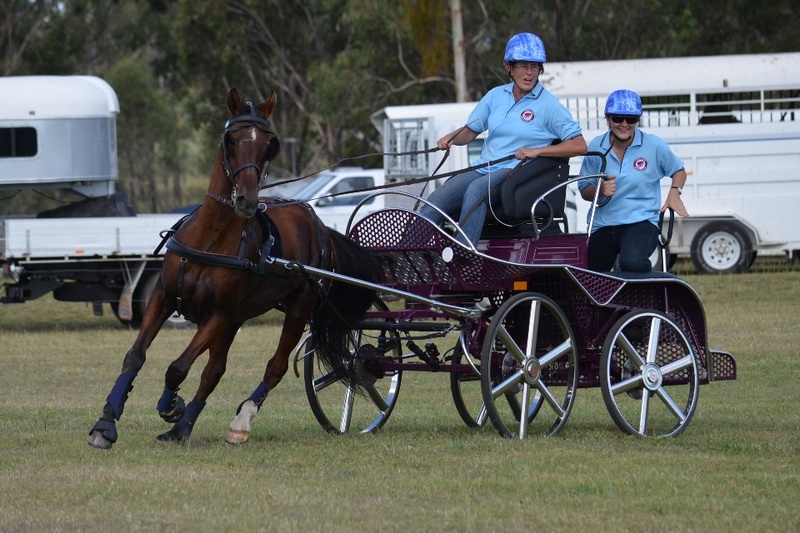 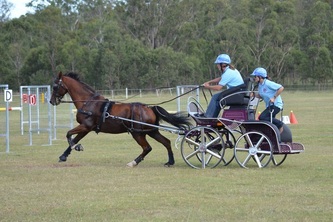 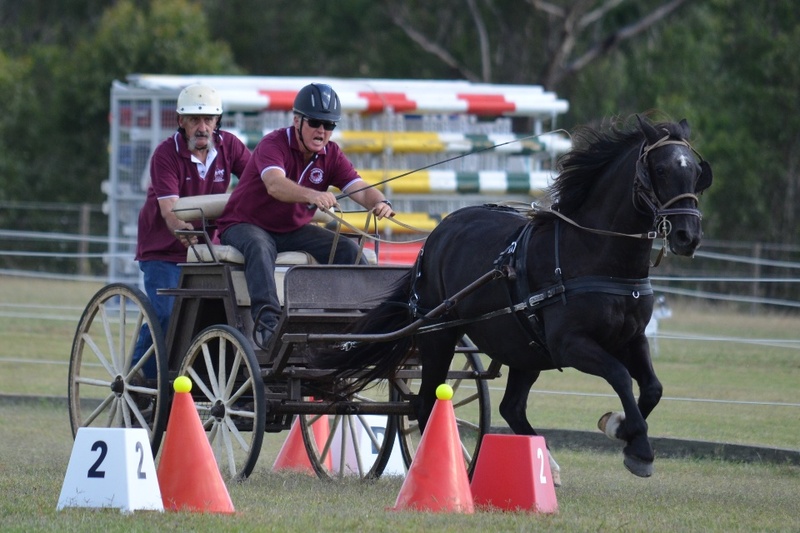 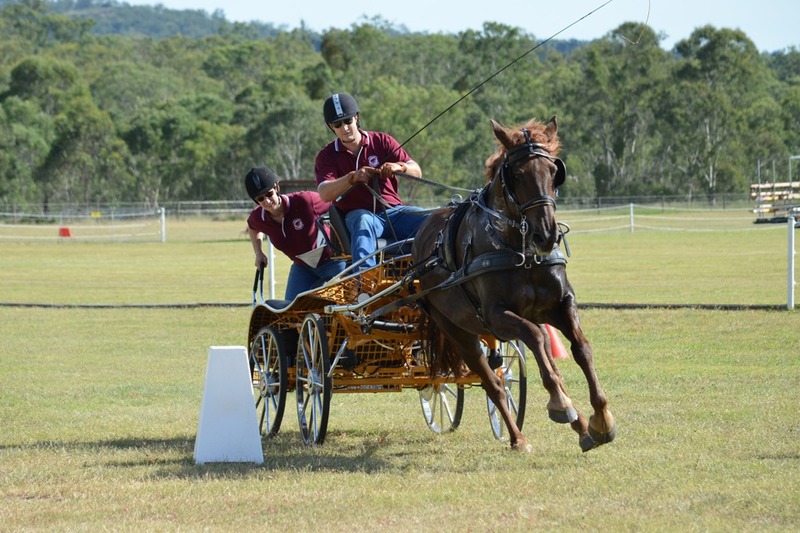 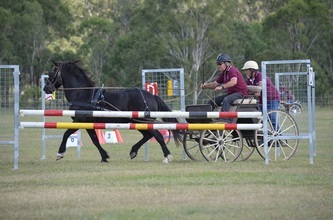 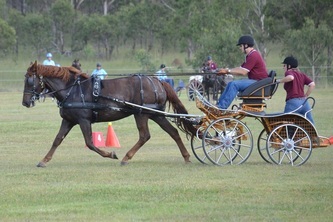 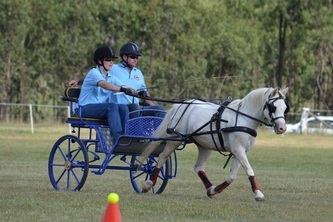 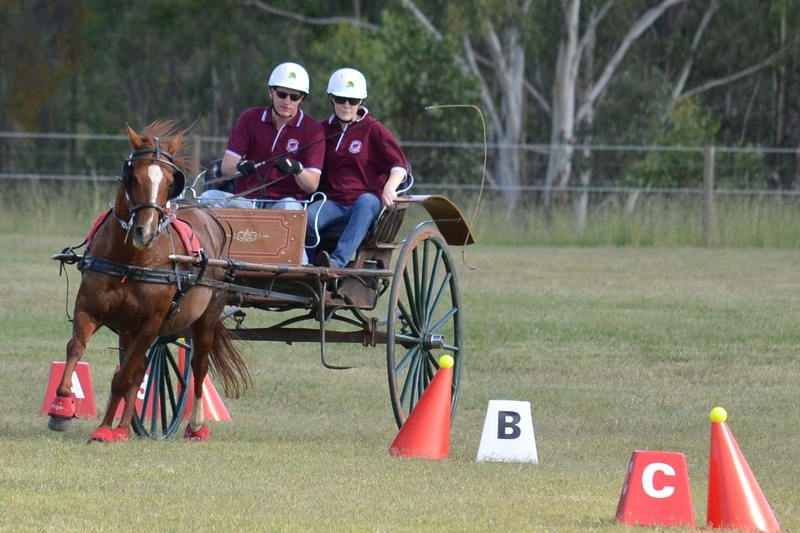 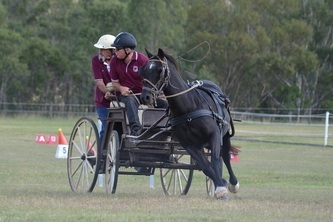 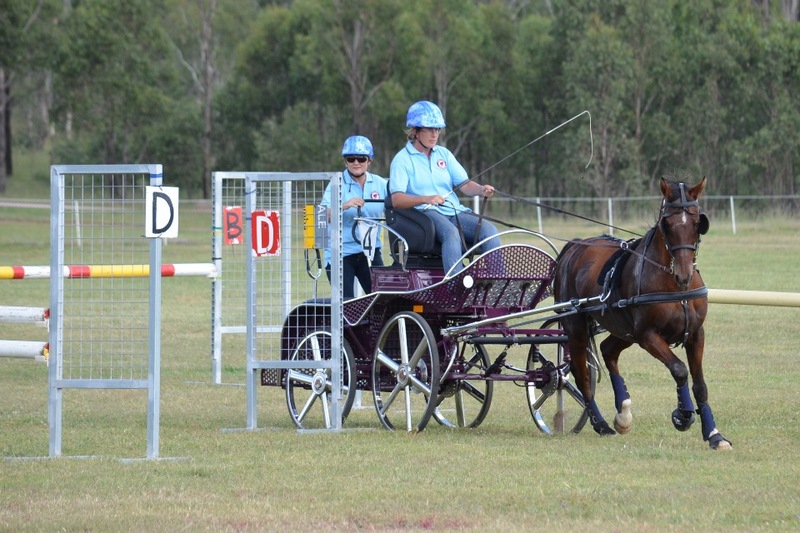 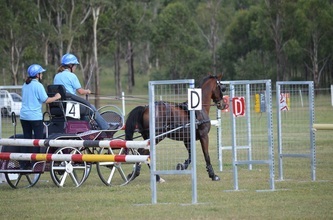 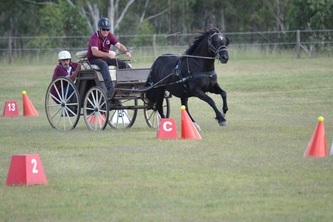 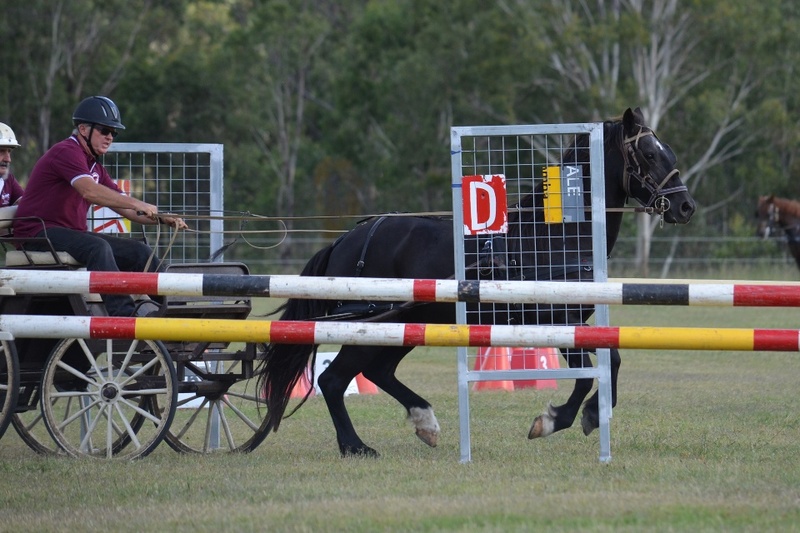 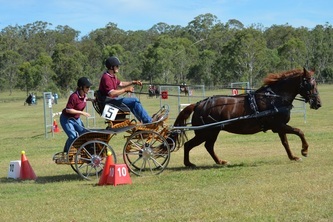 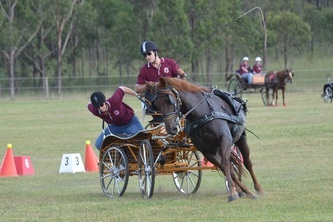 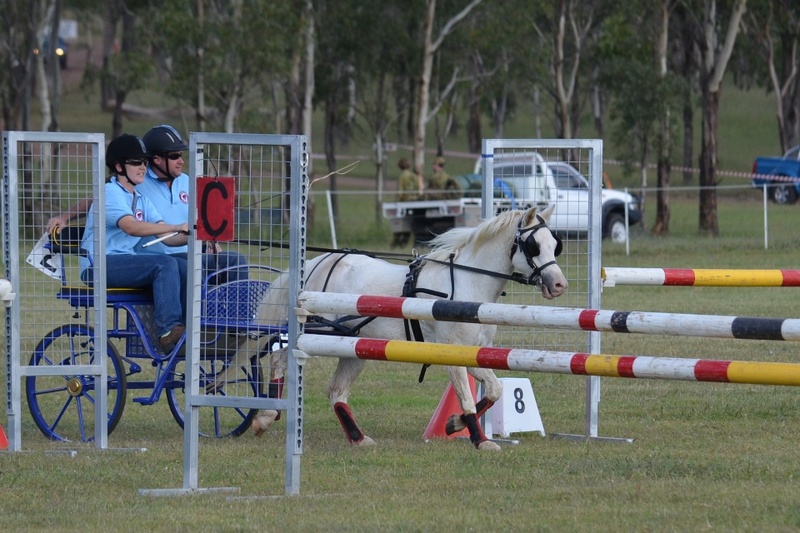 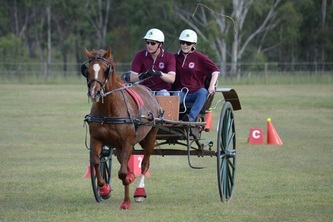 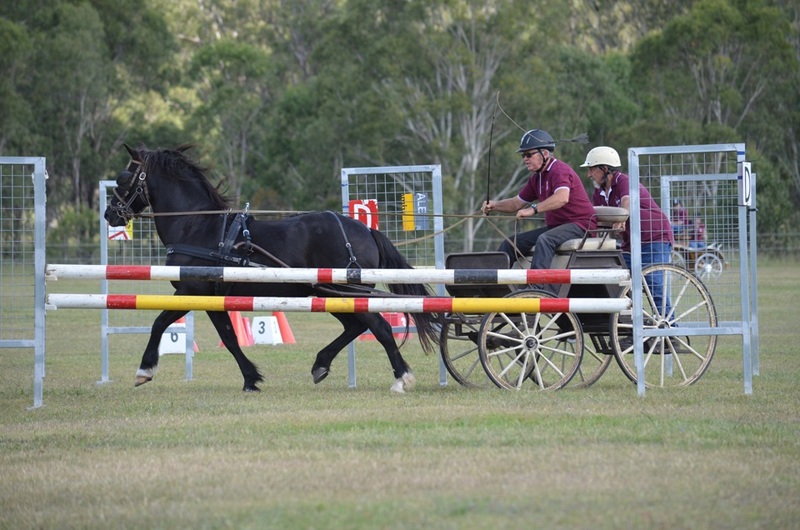 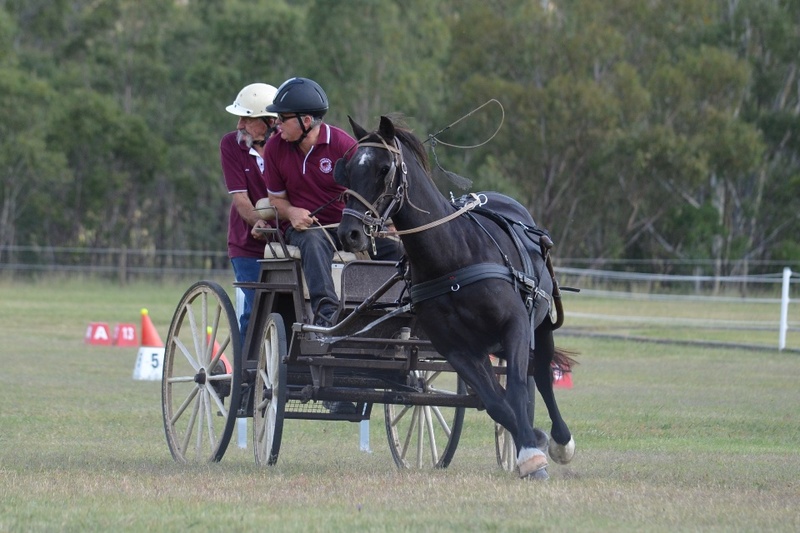 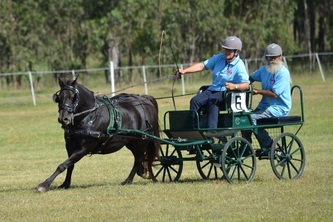 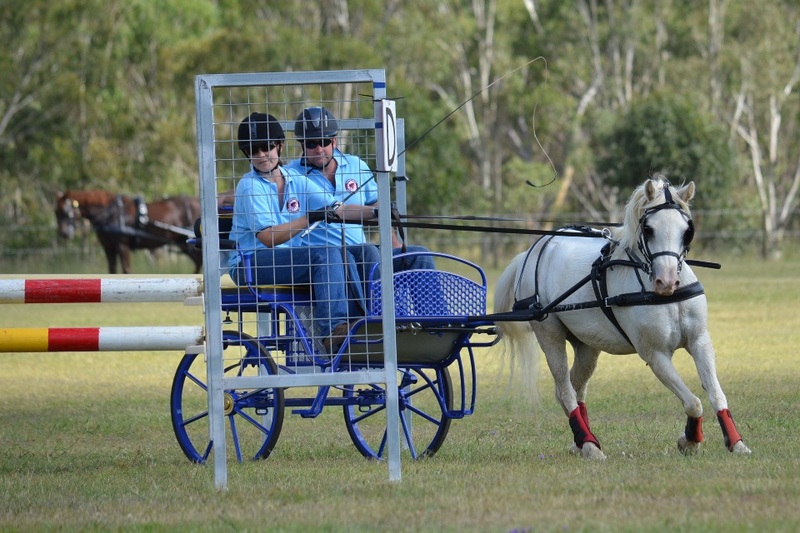 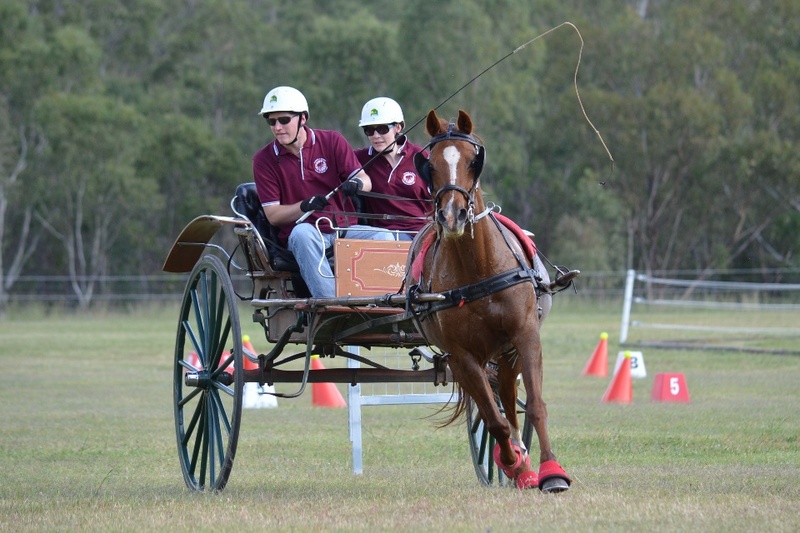 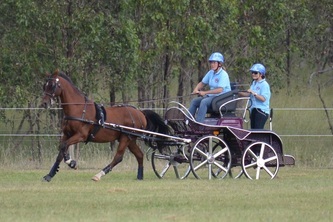 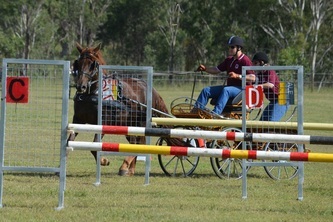 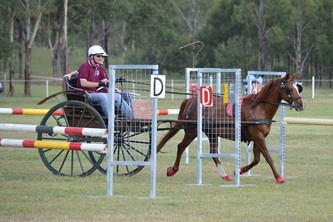 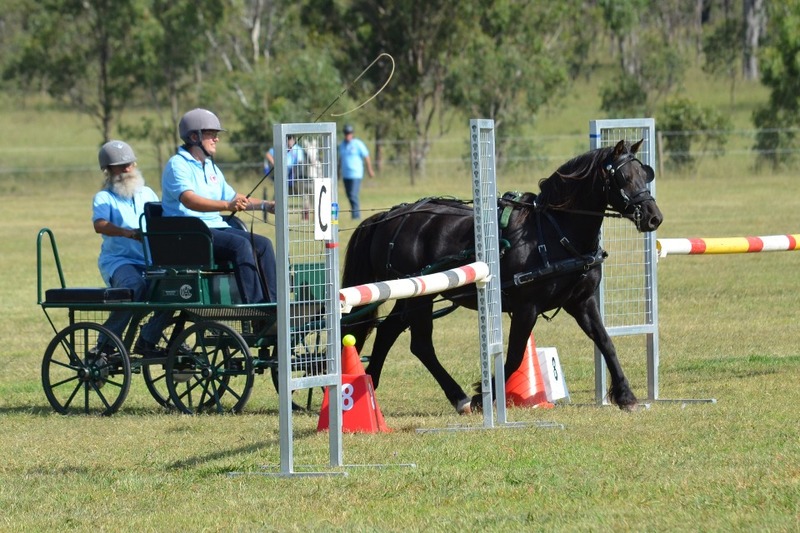 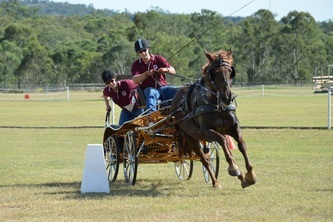 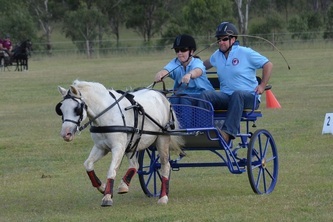 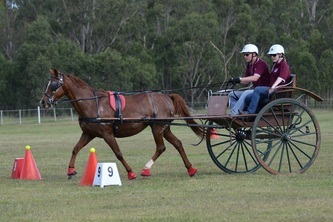 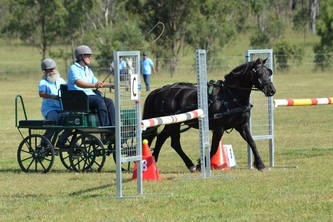 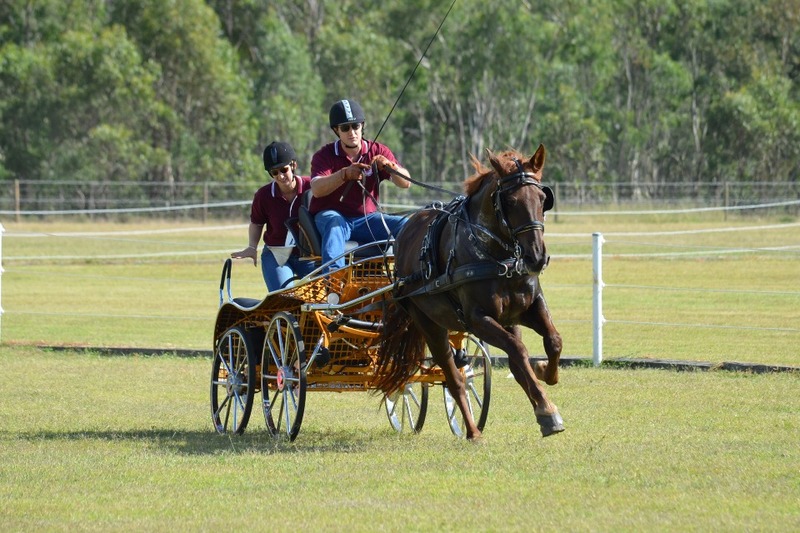 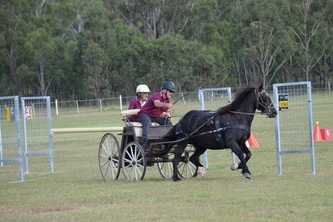 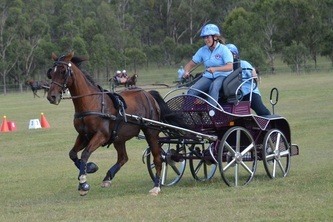 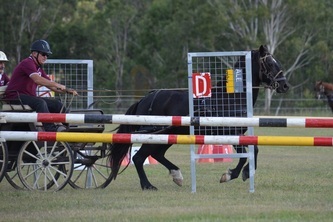 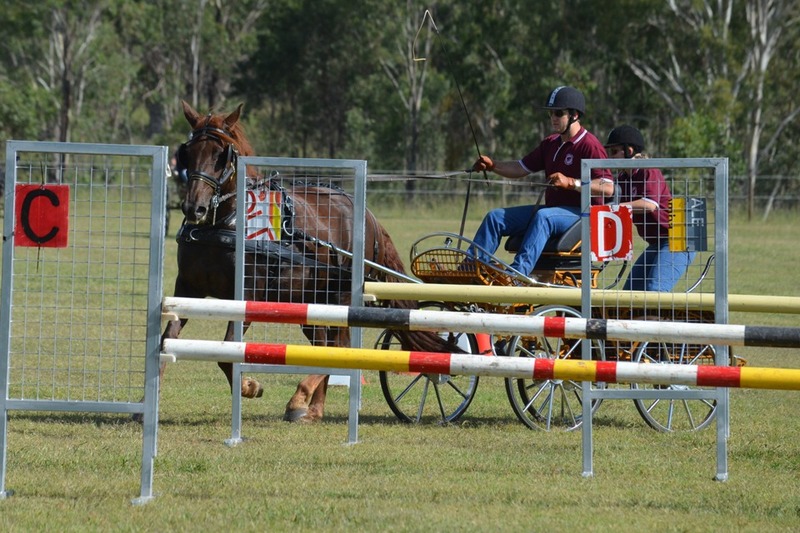 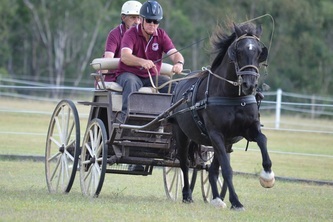 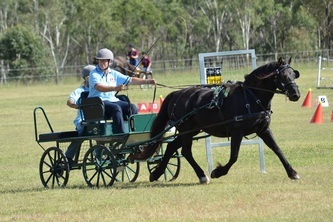 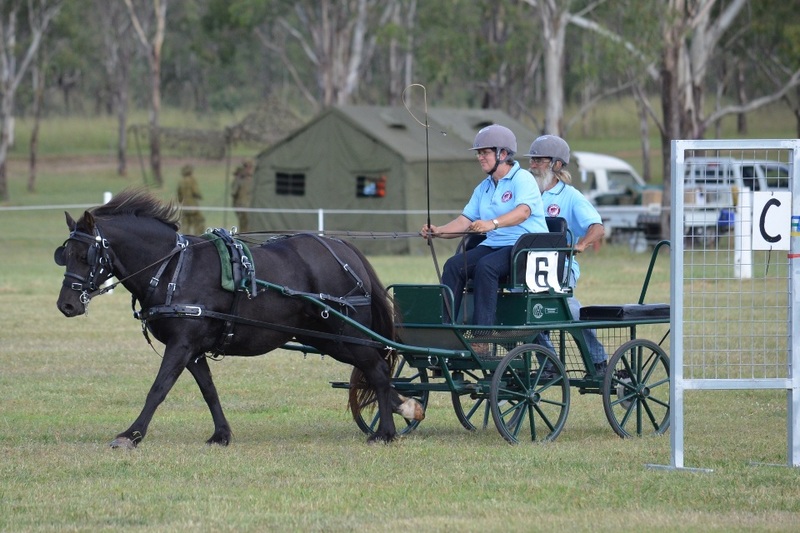 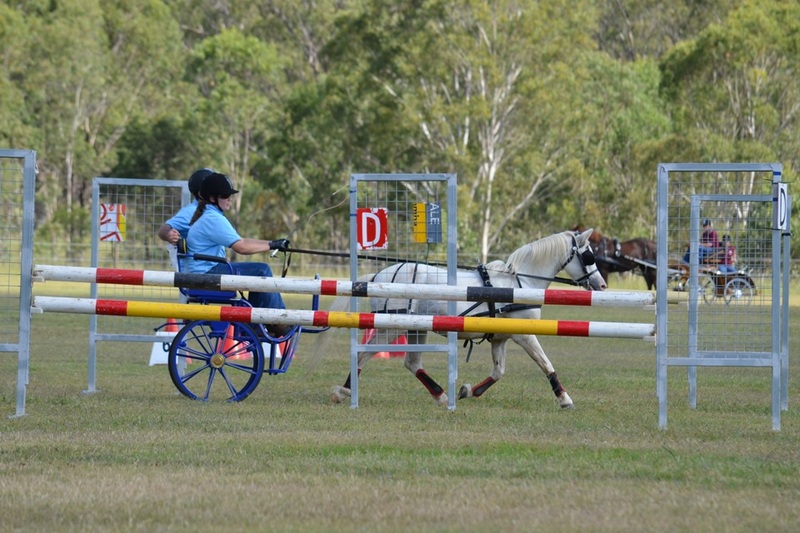 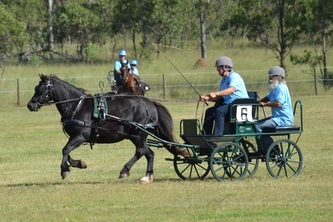 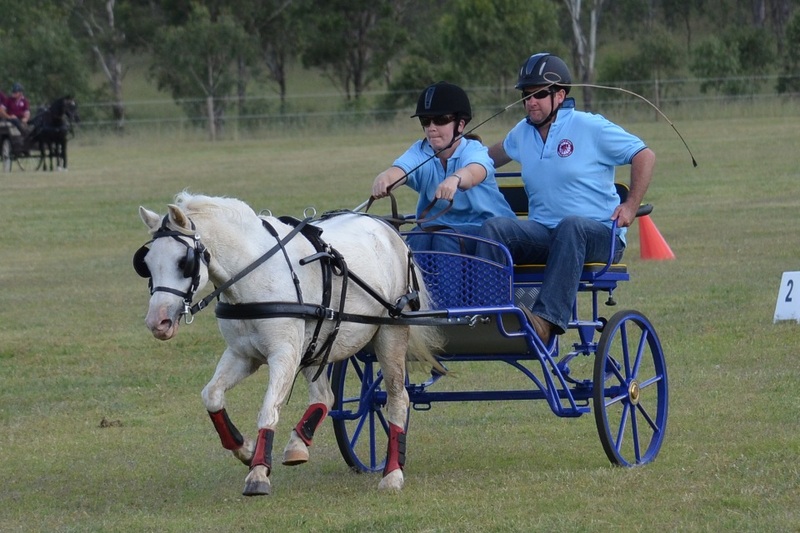 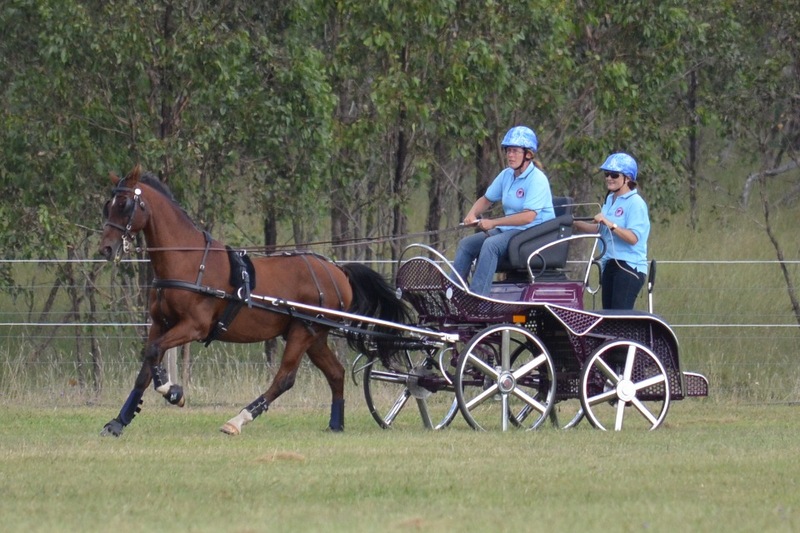 Two teams were assembled to contest the inaugural “Over the Top” Eventing State of Origin Challenge. 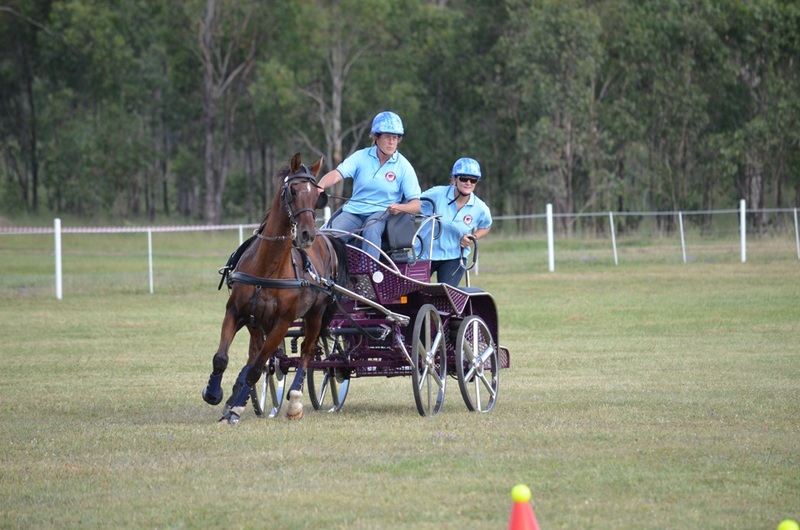 Some of the biggest and best Australian competitors took part in the clash with Stuart Tinney captaining the Queensland team and Natalie Blundell leading NSW. 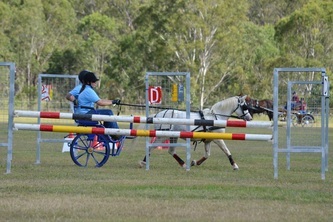 The competition involved 3*, 2* and 1* classes with a winner takes all purse of $5000. 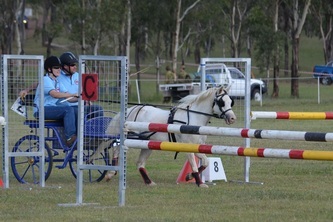 Media presence at the event included Top Horse and Totally Wild. 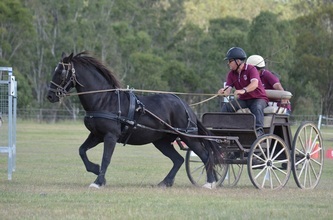 The guest appearance on Saturday by Shane Webke took centre stage immediately prior to the Warwick Club carriage driving display. In keeping with the State of Origin theme of the event, the club fielded two teams of three drivers to fight it out in a cones derby type display which incorporated a Marathon Obstacle at gate 8. 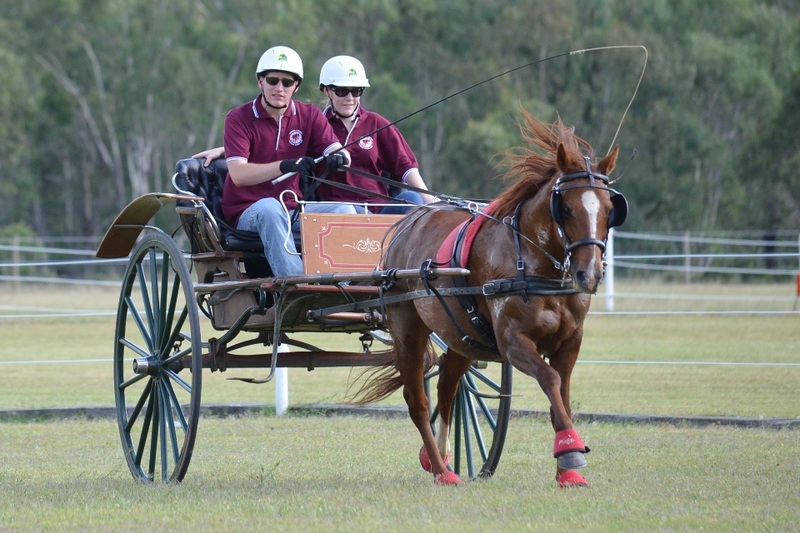 Tamar Smith, Karyn Dillmann, and Stacey Spletter wore the blue jersey driving for NSW while Kurt Dillmann, Paul Humberdross and Greg Bowdler threw the gauntlet down for the mighty maroons. 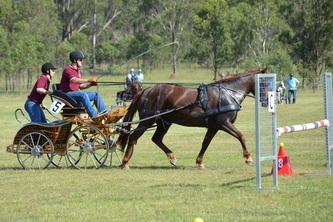 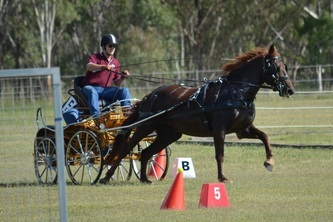 The action was fast and furious with Greg Bowdler and groom Jim Stewart driving a sizzling first round to set the scene. 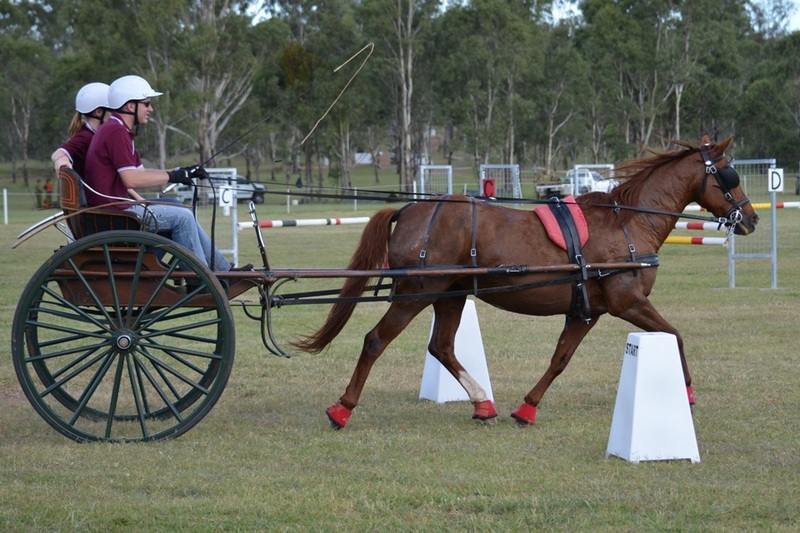 Tamar Smith wasn’t taking any prisoners with her first round run cutting some fine corners on the course and giving her groom a real taste of back stepping at speed. 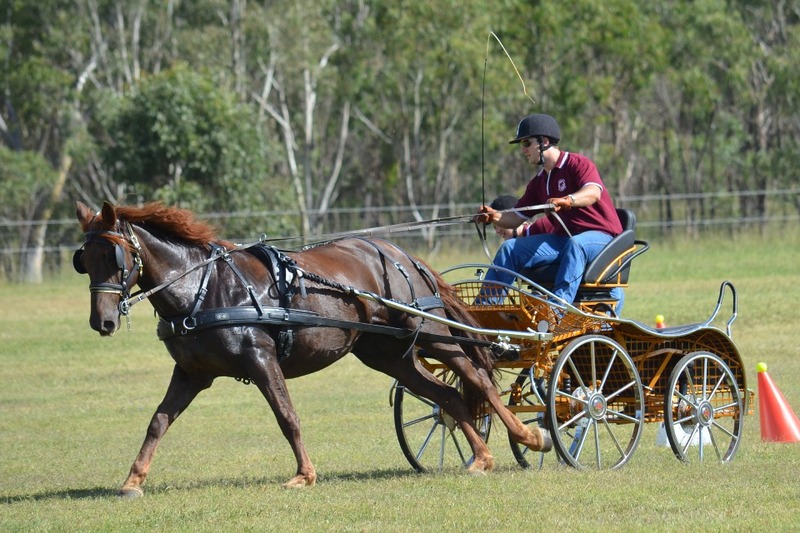 Kurt Dillmann and his groom, sister Claire, wowed the crowd with some spectacular slides and a very fast first round time giving Qld a significant lead. 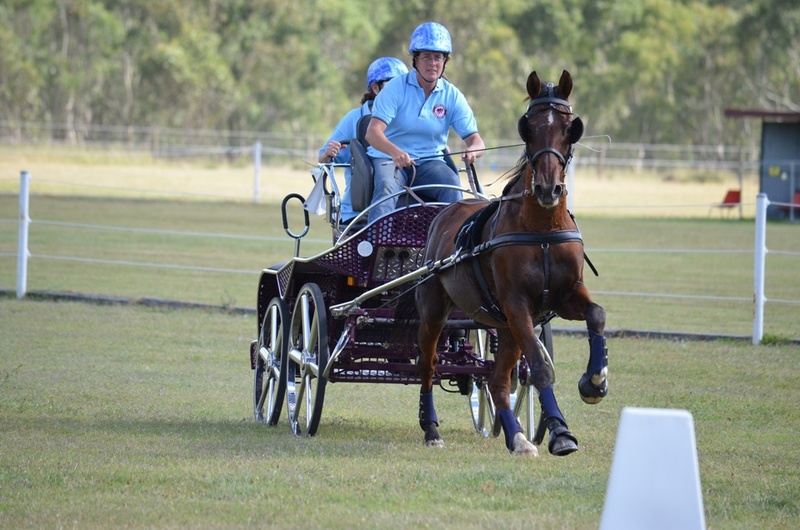 Stacey Spletter and her pony Mozzie responded with a turn of speed to fight back for NSW. Paul and Melissa Humberdross drove Linda Doulin’s pony ‘Smarty” with speed, accuracy,determined to consolidate the maroon’s lead. 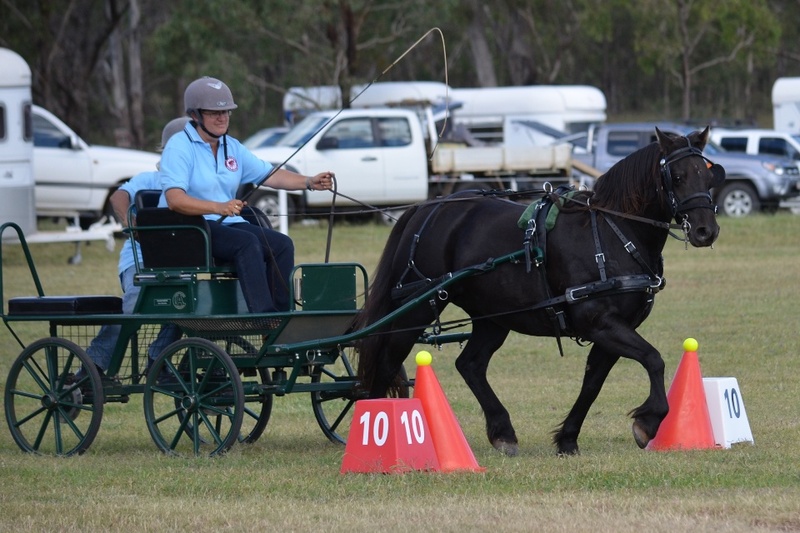 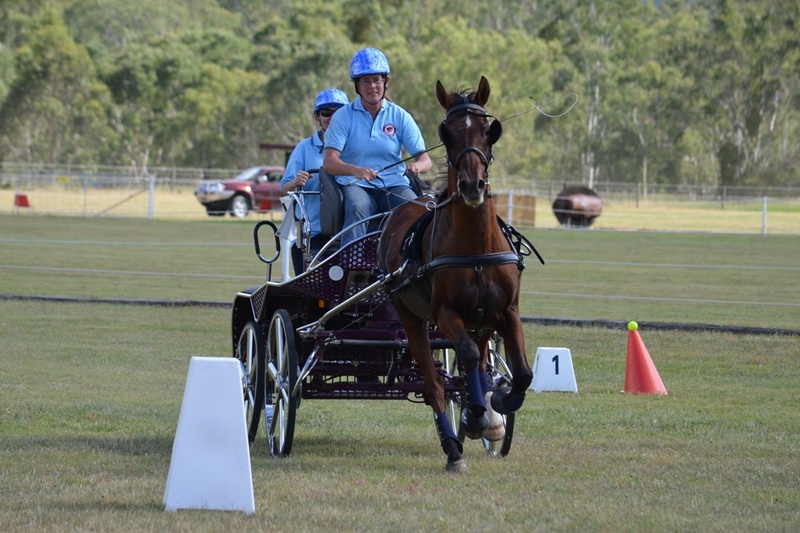 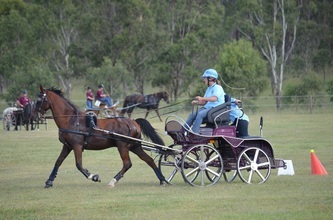 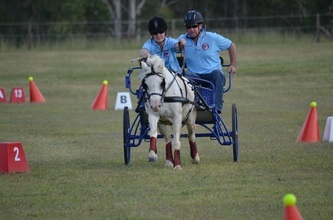 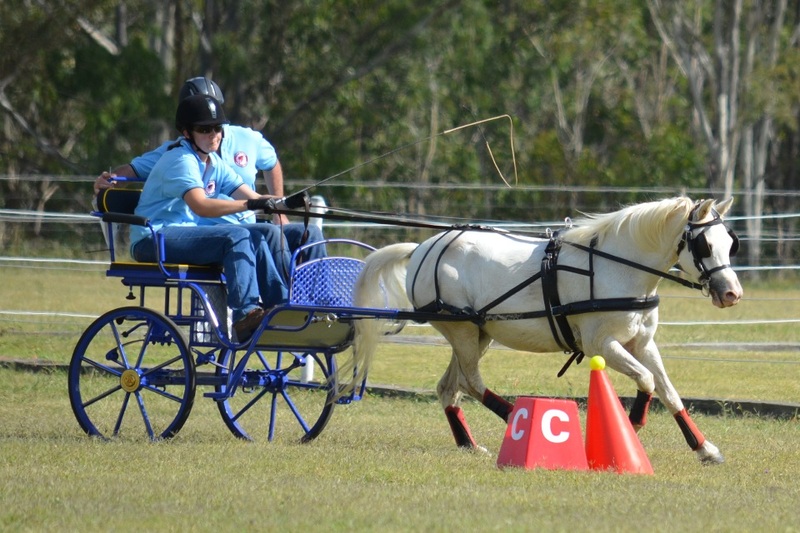 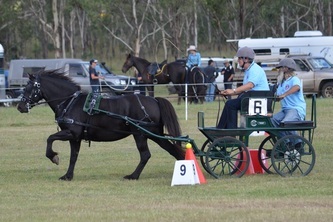 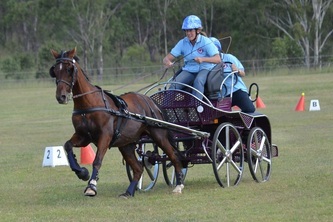 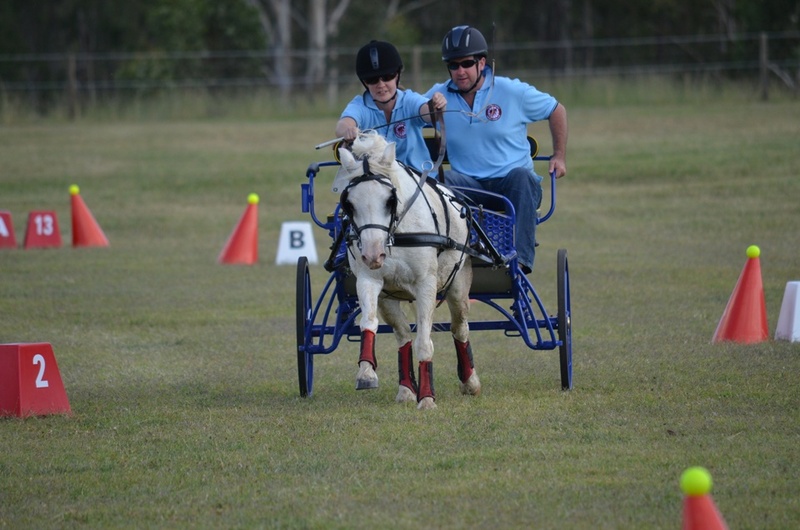 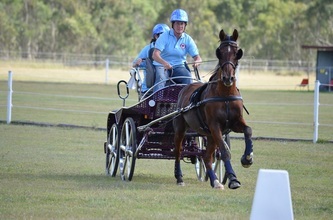 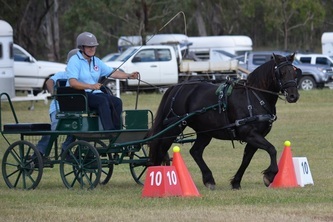 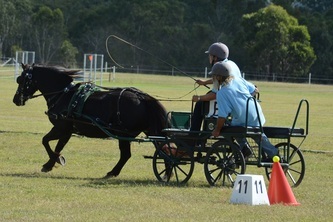 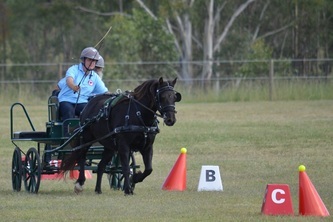 Last team member for the blues was Karyn Dillmann and her pony Taffy who finished strongly to cheers from the crowd. At the end of the first round, announcer, Linda Doulin, geeing up the crowd on the hill for Greg Bowdler’s second run. Jim had his work cut out on the back step as Genevieve ran a blinding time for Qld. 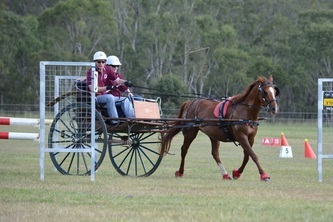 This most certainly secured Qld’s victory on the day. 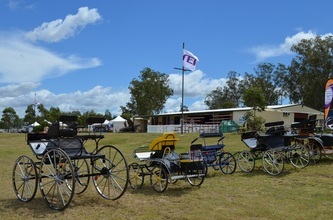 The club information tent and static carriage display was given prime exposure adjacent to the clubhouse and cross country course. 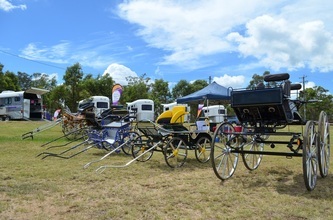 Club information, calendars, magazines and photos were available for the public to peruse. There was a static display of 6 imported european competition carriages which proved very popular with spectators and visitors asking club members plenty of questions about what was involved in our sport. 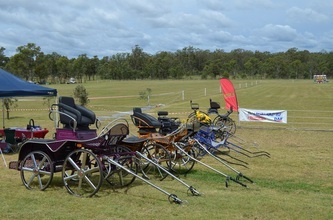 Event organisers praised the club for it’s professional presentation and quality display on the day. 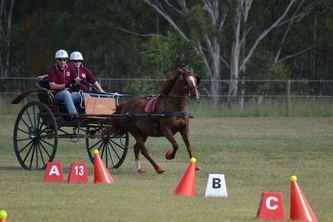 Crowd involvement was audible and significant. 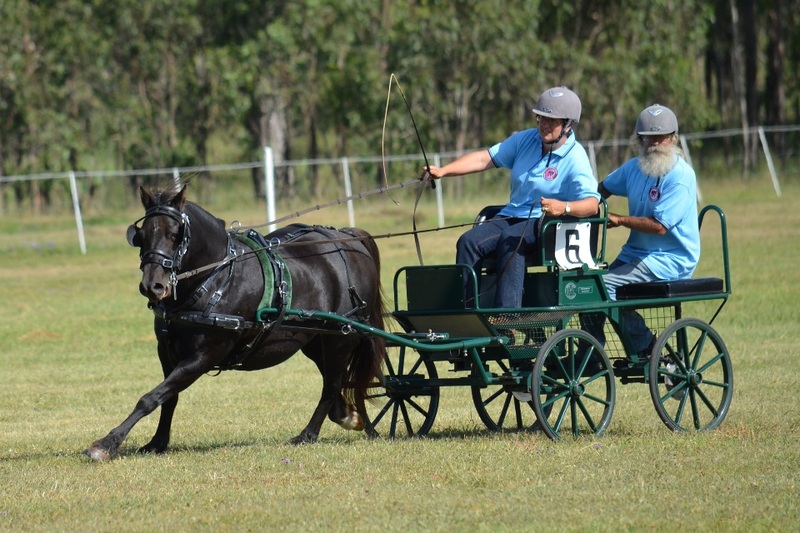 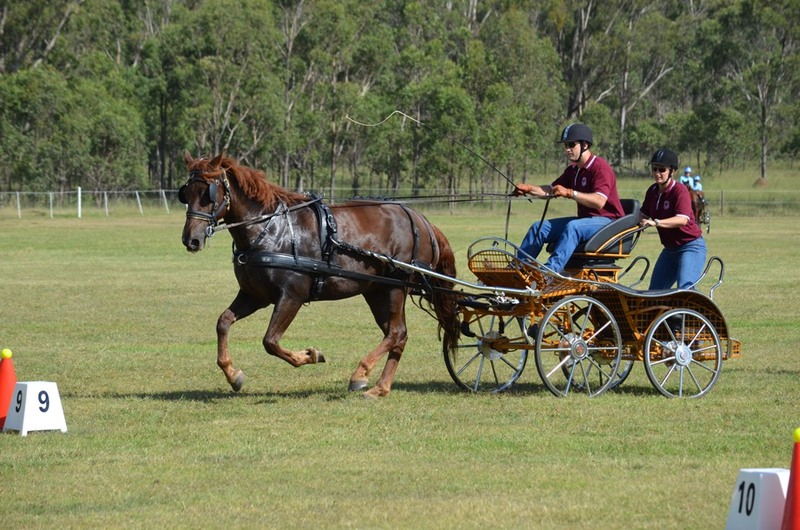 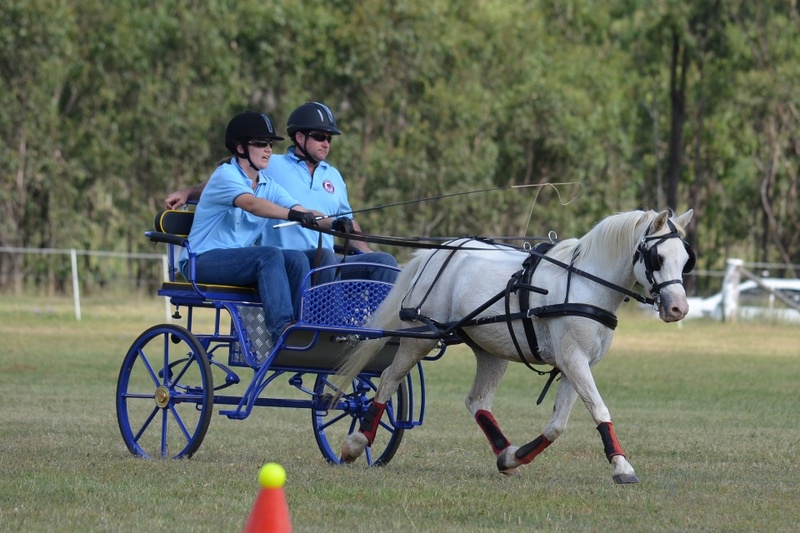 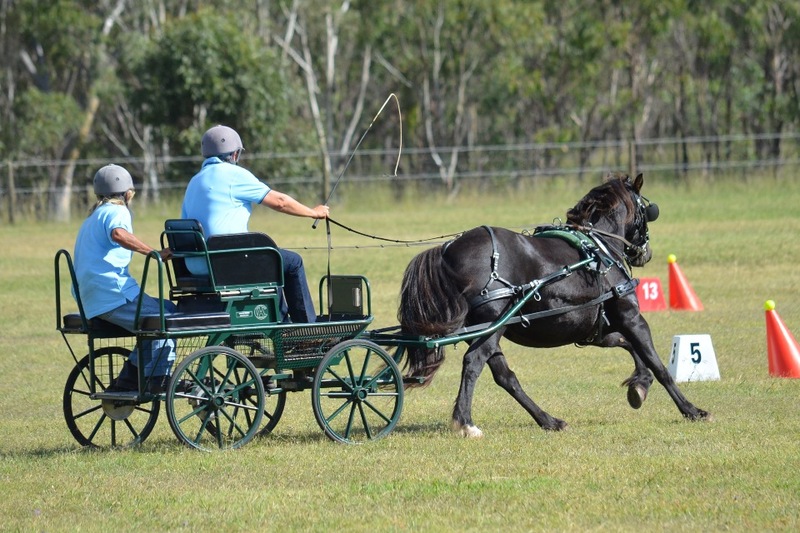 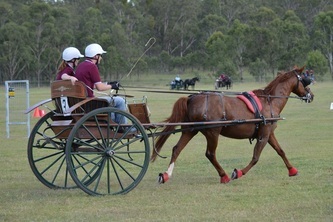 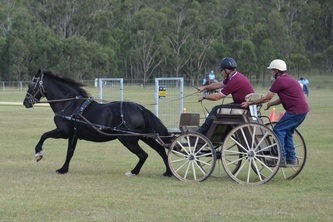 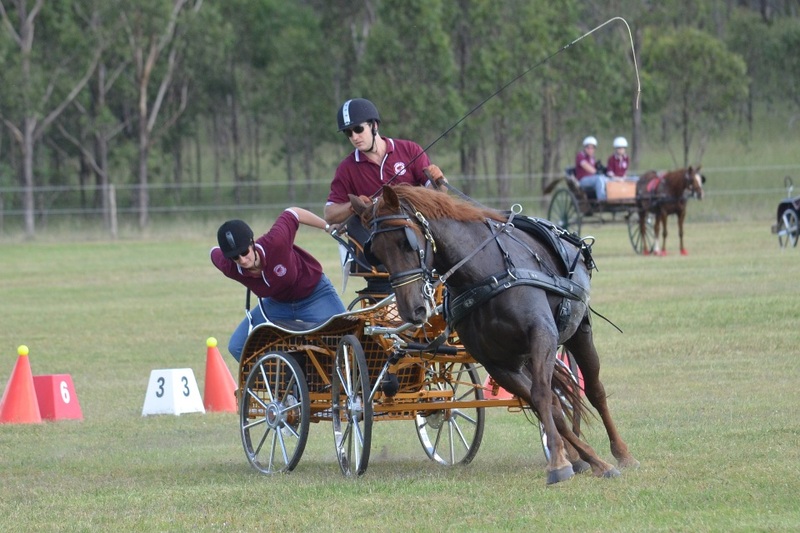 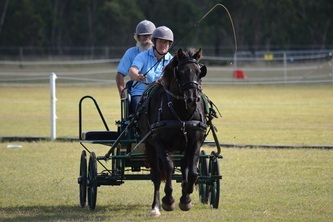 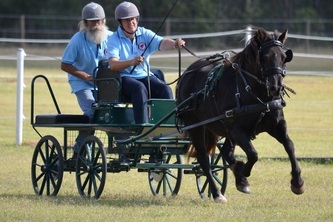 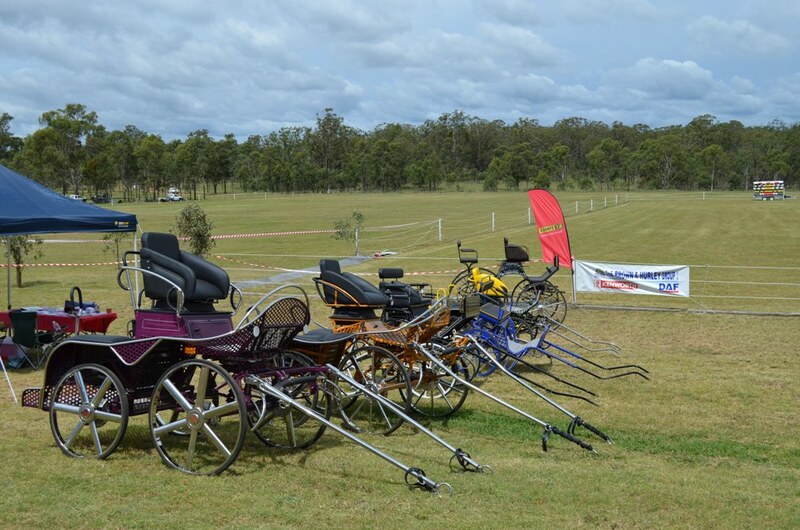 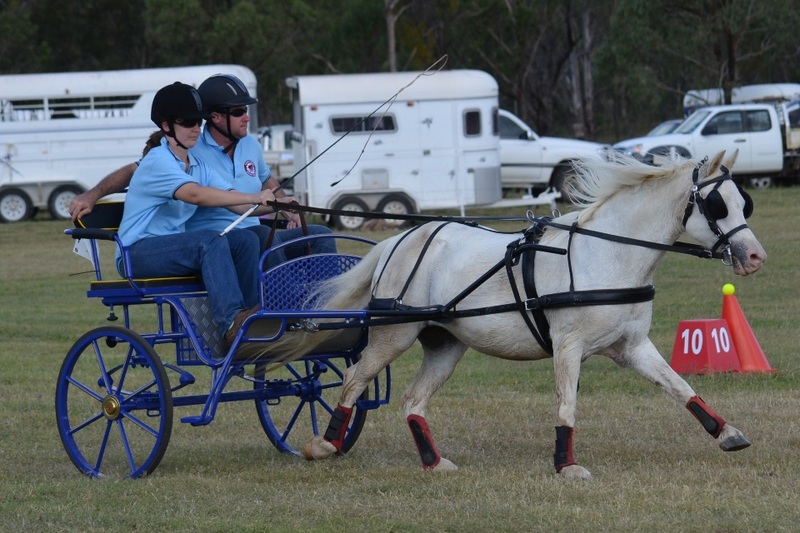 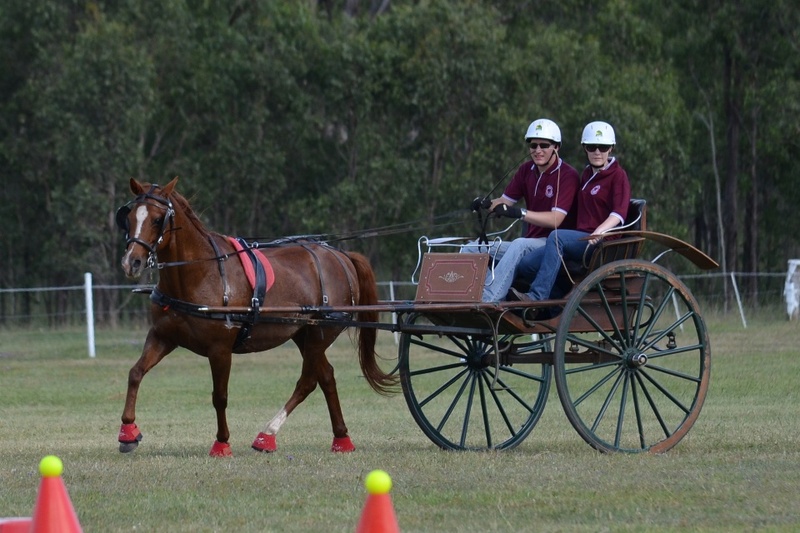 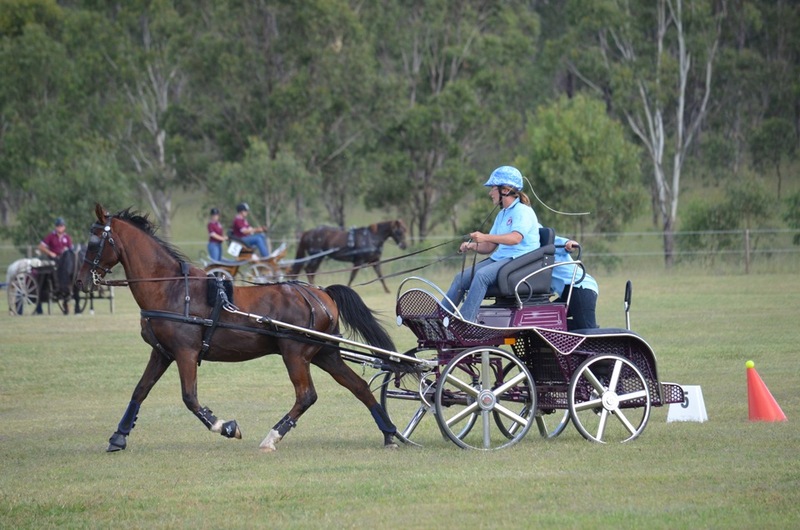 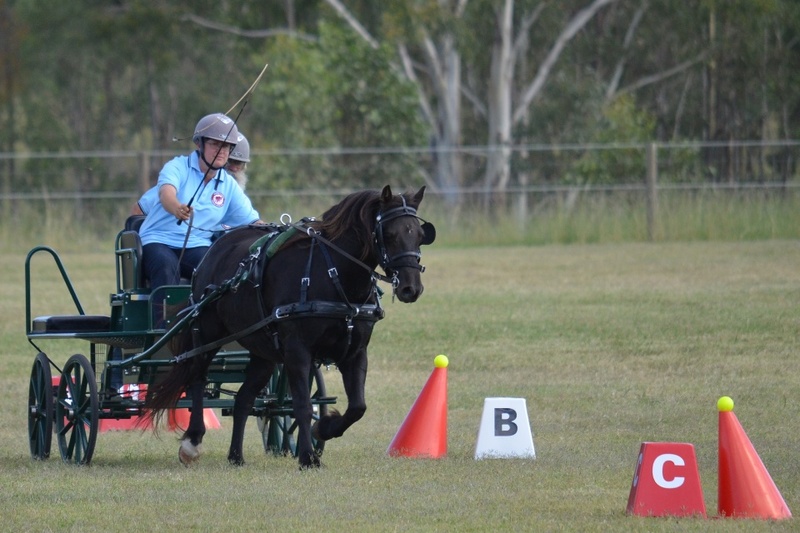 This display afforded our club the opportunity to showcase the sport of competitive carriage driving and contact a range of people who may not have previously been familiar with this sport. 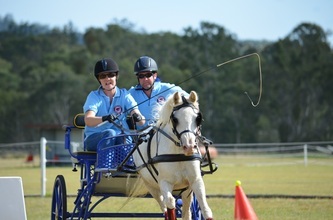 On behalf of the club, I would like to thank Dr Cameron Osborne sincerely for the exposure this opportunity gave to our sport at such a prestigious equine event.